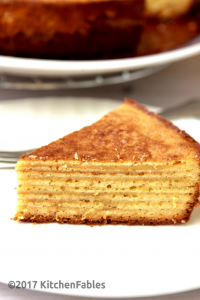 Lapis Legit is an Exotic Rich Cake also popularly known as Indonesian Layered Cake. 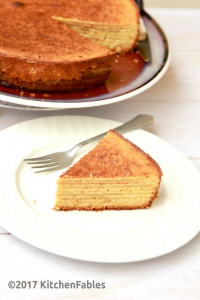 This layered cake is very popular in Indonesia, Malaysia and Singapore. My husband’s colleague who came from Indonesia got us Lapis Legit. It was an instant hit with my daughter. I personally loved the texture and flavour of the cake. I call this cake Exotic Rich Cake as it needs a lot of eggs, butter and very less flour. 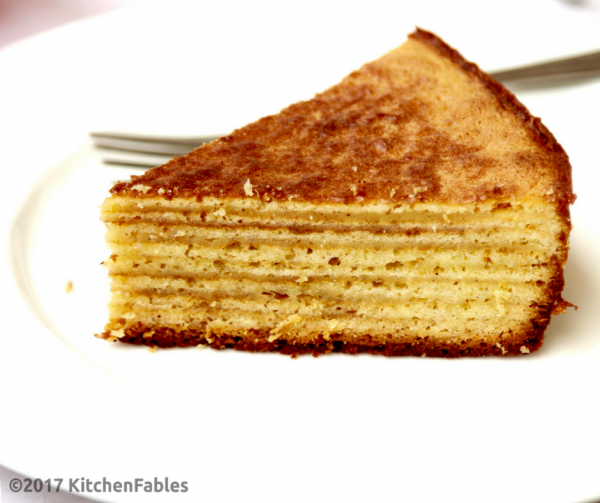 This layered cake is dense in texture and not very sweet. Baking this cake is definitely not child’s play. You need be really patient and follow the process. Unlike other cakes where you put the batter and take a break , for a few minutes, to bake Lapis Legit you need to keep an eye on the cake, all the time. Separate Egg whites and yolk carefully. Lapis Legit is a heavy cake. Do not count calories, if you really wish to enjoy the cake. I recommend serving small potions , to avoid guilt afterwards! In a bowl, cream butter. When the butter is pale yellow add condensed milk and mix for another 2 minutes. Add one egg yolk at a time and continue beating, till all the egg yolks are well incorporated. Add vanilla extract and mix. Add the butter and egg yolk mix in the egg white and gently mix. Add flour to the mixture in three batches and fold in. Once the first layer is done , switch the oven heating only to the top coil. Put another 1/3 cup batter , spread, tap on the counter and bake till the top is golden brown. Repeat this step till you have exhausted the batter. Bake the last layer 2 minutes longer than the rest to get a nice brown colour on the top. Once done take out the cake and let it cool for 30 minutes before cutting. This looks like a real labour of love, baking the cake layer by layer, but worth all the effort to produce such a gorgeous looking cake in the end! 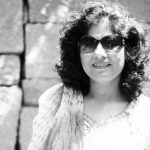 Thank you Sujata 🙂 !! 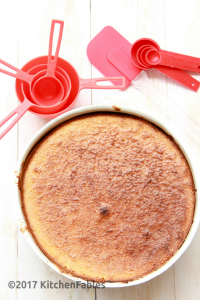 yummy !delicious cake recipe! thanks for sharing! Glad that you liked it !! !